To excel at what you do, you need an online technical infrastructure that is adapted to your needs, rather than the other way around. That is what we deliver. Trust in over 10 years of experience in mission-critical IT services. Kumina designs, builds, operates and supports Kubernetes solutions that help companies thrive online. We can support you with a fully managed solution including unlimited support hours, consulting or training. 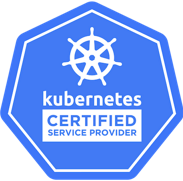 As Certified Kubernetes Service Partner, we know how to build real solutions. Container technology and Kubernetes are the perfect foundation for an efficient development pipeline and a scalable high-performance infrastructure. Kumina takes the worry out of your transformation to a Docker and Kubernetes-based infrastructure. From the consultation phase and the initial build to production-readiness and ongoing maintenance, we will do the heavy lifting for you. Your tailor-made Kubernetes solution can be based on your choice of infrastructure: bare metal or a public or private cloud environment. After implementation, we will take care of your underlying infrastructure 24/7, leaving you free to focus on your applications and core business. Our managed Kubernetes solutions include unlimited support hours by our dedicated team of Kubernetes experts and an optional 24/7 emergency number, so you can rest assured that we are there whenever you need us to be. During our three-day hands-on Kubernetes course, software developers become well-acquainted with containers and the full potential of Kubernetes. First, you will discover the theory, possibilities and best practices regarding containers through the use of Docker, Kubernetes and Prometheus. During the afternoon workshop, you will learn to work with Kubernetes on a live demo cluster. 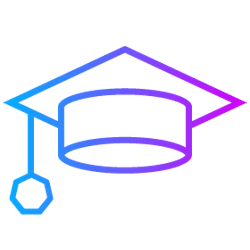 Courses are available for a variety of experience levels and are taught by certified Kubernetes administrators. Are you considering migrating to a Kubernetes infrastructure? Or would you like some assistance with overcoming issues and better understand how to avoid pitfalls? 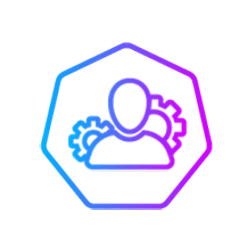 As certified Kubernetes administrators with over 50 years of collective infrastructure experience, our team has faced the most complex challenges. 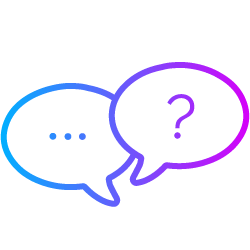 No matter the level or scope of your question, our experts will help you find the answer. Ready to learn more or talk about your project? We would love to hear about your business. Fill out the form and one of our experts will be in touch soon.